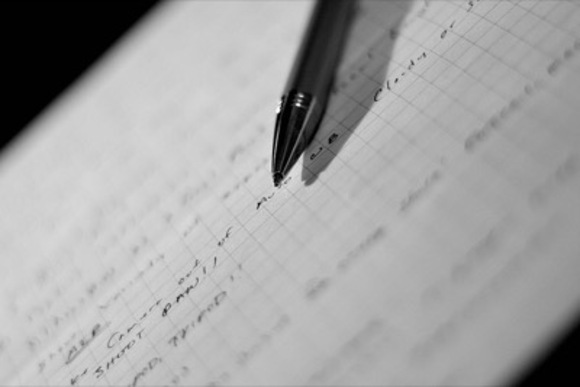 Back in the days when small businesses were run from the pages of small notebooks, tradesmen and business owners would jot notes in the margins of the pages to help them remember things. Those notes would help them remember to inform a client that the damage to their boiler was more extensive than first estimated, and it would need to be replaced. Or that the customer had requested some additional services that needed to be taken care of. With businesses going electronic, there’s become less room for those notes—which is why we’ve added the ability to let you take all the notes you want in the newest version of our app. Let’s take a look at how you could put them to use. On the right-hand side of the web dashboard you’ll see a link that says ‘Add Note‘ (in the Web Dashboard its in the Toolbox column in each job and in the app its in each Job page’). Clicking or tapping this button opens a small pop-up that allows you to enter any text you’d like to be saved as a note attached to this job. 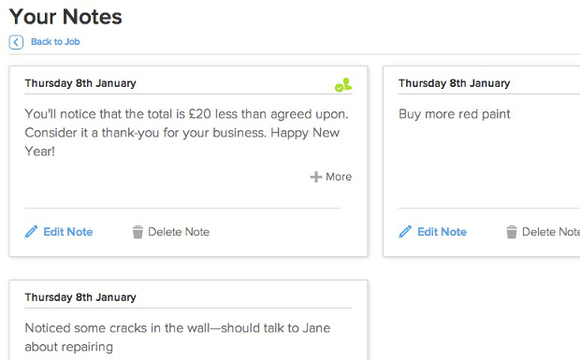 Clicking ‘Save‘ saves the note, and it’s now easily visible from the job view. 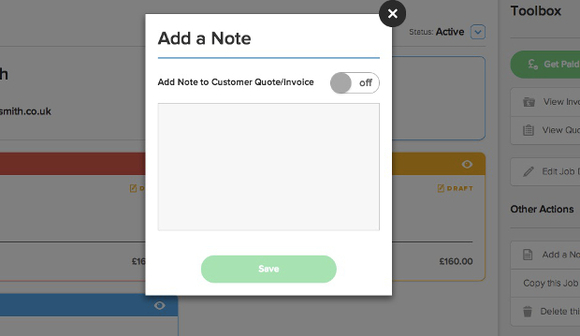 If you want the note to appear on the customer’s invoice, quote or receipt, just move the slider to ‘On’. You can add as many notes as you want, and they’ll all be visible from the job view—just click or tap on ‘Notes’ to see them all. From the Your Notes view, you can add, edit, and delete your notes. All of the notes you create, whether from the dashboard or your mobile, will be synced, so you’ll have them wherever you go. Just like having a trusty notebook! Image credit: Brady via flickr.